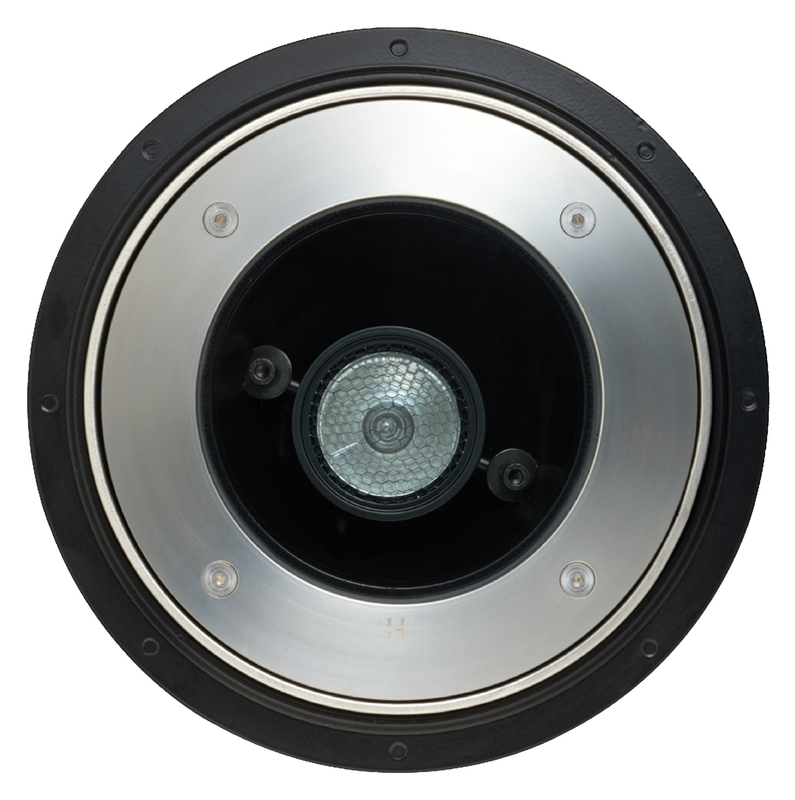 The Inground 1-11gm has a fully adjustable gimble suitable for use with 50 and 75 watt MR16 lamps and is complete with a hex cell louvre and space to mount coloured or lineal spread lenses. Having no protruding parts, it is ideal for driveway lighting, path lighting, uplighting bushes and small trees. Alternatively, it could also be used in hotels or building foyers. Designed so the lamp can be directed up to 45 degrees, without the need to remove the fitting from the canister, and having a the three vandal-resistant Allen-head screw fixing system that attach the flange to the body of the luminaire, this is a invaluable luminaire for any exterior lighting project. This luminaire is suitable for use with 50 and 75 watt MR16 lamps and is supplied with a high quality 50 watt European 5000 hour lamp. It also come complete with it a “Flush Fit” lens which stops water pooling and depositing dirt, a mounting canister that facilitates ease of installation and optional built-in transformer. Solidly constructed from a cast aluminium UV stable powder coated body, with heat dissipation fins to lower operating temperature, with a 10mm thick ‘Flush Fit’ tempered glass lens and silicon gasket and either a solid bronze or 316 stainless steel flange. This luminaire can be safely driven over (10km max) or walked upon without fear of damage.